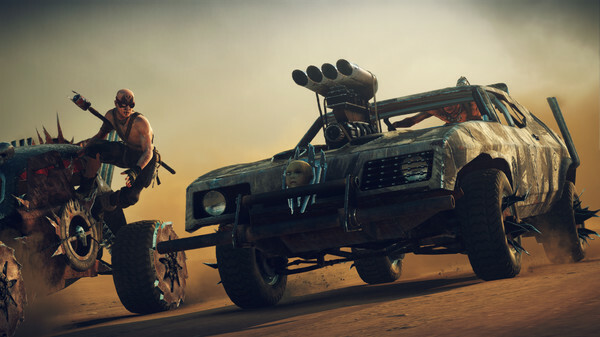 Fantastic news, looks like Mad Max is actually coming to Linux if new information from SteamDB is to be believed. Another AAA game to join the ranks on Linux. And much more on there. If you don't remember, SteamOS was originally confirmed as a platform for the game, then utter silence since. Looks like it slipped out early? Wooot! Wow, that one I had totally given up hope on. What's the next surprise: Batman? GREAT!!! Because I really need to win the game, and I hate booting into Windows... at this point if I boot into Windows I end up playing Elite: Dangerous. Cool, but maybe Valve is just trolling us with Tomb Raider and Mad Max. The game had pretty good ratings. Would love to take a look myself. That Moderator is a well known chode. There is a reddit page out there where a guy wrote a python script to go through all of the steam forums with his name and did a grep for Linux and found he was all over the place always saying "just use Windows" or "Why would you use Linux? Just get Windows" etc. So him talking to a developer.. maybe. But I wouldn't believe anything from the guy after the multitude of forums where he does that. Seems anytime there is someone asking for a Linux version he shows up and says why waste the time. Indeed, that moderator seems to moderate a few of WB published titles (so he's probably an employee). He's an obvious Microsoft fan and doesn't like Linux, I've come across him a few times across a few different titles, and he's always obnoxious. And in this case, he was clearly wrong since it looks like it's coming. Anyway, less chat about a rogue moderator and more hype! Really nice to hear, though if I should be brutally honest I'd be even happier to hear some positive news about Batman/Witcher3. Still, I'll buy it of course. No doubt about that. Having played Shadow of Mordor a lot lately, this game looks a lot alike ... and I mean A LOT. Not exactly excited to end up playing what effectively turns out to be "Shadow of Mad Max". Speaking of other WB titles, I see that Batman Arkham Knight is on sale.... sign they're going to do the Linux release?